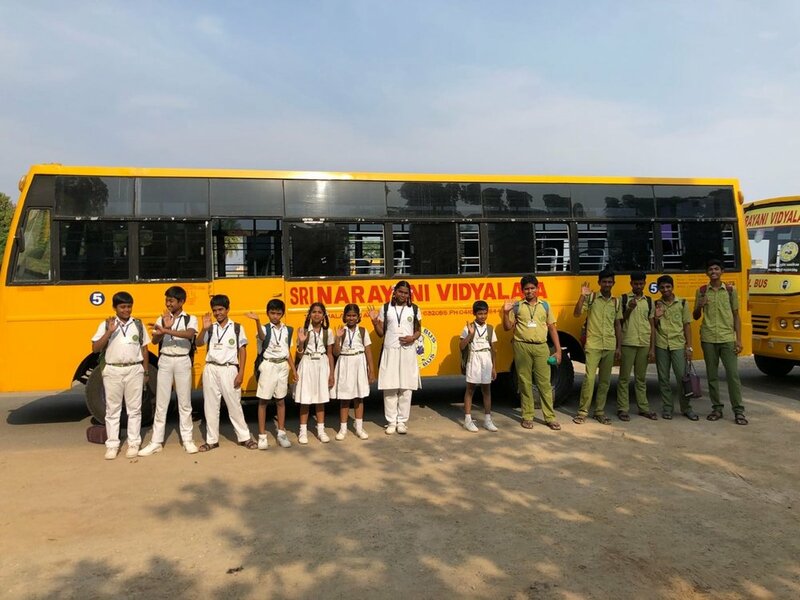 Green Sakthi Club takes place every week at Sri Narayani Vidyalayam, The school opened its doors in 2002 to transform children’s lives in the neighbouring villages around Peedam, by offering them access to education. The school was built for 500 children. Demand for education has been huge! Now in 2018, there are 1000 children being educated at Amma’s school. Thanks to many of you for joining hands together, on May 8, we reached our first fundraising goal: to build an extra block of toilets (now the school can fulfil government requirements as our previous block of toilets were only sufficient for 500 students). The second part of the fundraiser is a 40 seater bus so children can get safely to and from school. Our students travel up to 30 km away to get to school. A school bus will be a safer mode of transport for students (in comparison to an overcrowded auto rickshaw). Join hands & let’s make a difference in these young lives! For Australian bank account holders, you can directly deposit into our bank account. This avoids Paypal fees. Please write BUS into the bank field, if possible.